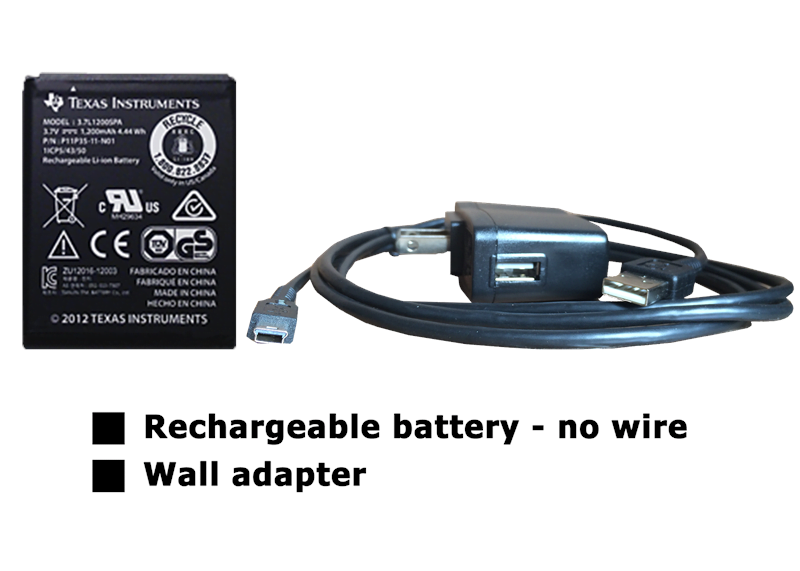 Includes one (1) rechargeable battery without pigtail wire, one (1) wall adapter and one (1) 60″ USB computer cable. Installation required. If the existing battery has a pigtail wire that is plugged into the back of the calculator, you will want the TI-Rechargeable Battery with PigTail Wire.